Recover your health and experience the highest quality of life at Pinkus Family Chiropractic! With the latest technology and techniques, we help all ages in feeling incredible. Insurance coverage can be used for your visits, including Medicare and Medicaid. Contact us today to get started! Welcome to Pinkus Family Chiropractic! 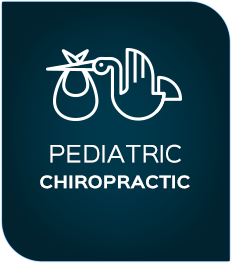 At our family-oriented practice, Manchester Chiropractors Dr. Katie and Dr. Brenton Pinkus support the needs of all ages. Our husband-and-wife team offers comprehensive skill sets that allow babies, children, adults and athletes to benefit from our unique approach to health care. 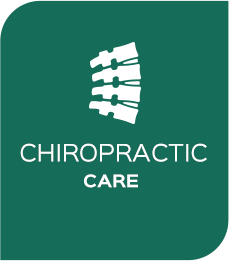 We love supporting and guiding the people in our family-oriented community with chiropractic care. Since 2002, we’ve enjoyed being in a historic area of Manchester, assisting our practice members in achieving wellness through proper alignment of the spine. We offer many different techniques that assist your body in being able to use its natural capacity for healing. The other services available at our office include Active Release Techniques®, massage therapy, Kinesio Taping®, Quantum Biofeedback and cold laser therapy. With three daughters, Chiropractors Manchester Dr. Katie and Dr. Brenton have seen the incredible benefits chiropractic care can offer to kids. Dr. Katie has completed extensive studies in pediatric chiropractic, while Dr. Brenton, as a former professional soccer player, helps many athletes of all levels. In our warm, inviting, home office setting, everyone will feel at home. 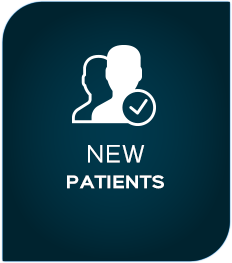 We also utilize the latest technology from the Insight™ Millennium Subluxation Station to understand the cause of your concerns and the most effective ways to help you. Our current practice members can refer friends and family to get a special offer. 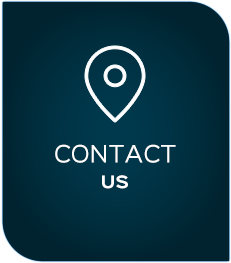 To get started today, Contact our team! We welcome emergency cases and have same-day visits available. Regret that I didn’t come sooner! I felt very confident with the work being done when I left and I’m excited for more visits with Katie. Amazing staff! And both Dr. Katie and Dr. Brenton helped so much. If anyone is skeptical, just do. Amazing! I brought my daughter in and not only did I become a patient, but so did the rest of my family!! Very professional, accommodating and great energy from both the Staff and Doctors. I highly recommend Pinkus Chiropractic to anyone looking for an experienced, knowledgeable and very friendly practice. Thanks for the body love! Today was my first adjustment ever and I couldn’t put in words how much better I feel thanks to Brenton and Katie! Look forward to my next visit! You’re so amazing! I feel so grateful to have found you. Just two weeks in and I am already feeling better. Mark and I wish we knew about you two sooner! We’ve been searching high & low for a chiropractor since moving to town & yesterday we finally found our chiropractic home! Thank you so much Dr. Katie, Dr. Brenton & the rest of the Pinkus team! I could not be more pleased. Very friendly, informative and professional. 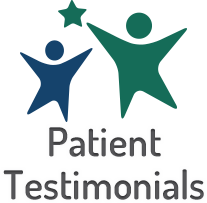 I was beyond impressed with my experience at Pinkus Chiropractic. Thank you to your entirely staff for the excellent care I received during my visits. Thank you so much for being able to accommodate me and my daughter on such short notice. My daughter now says she feels aligned and ready to compete this weekend. I too feel a lot better. I look forward to coming back for more adjustments. I am grateful to have you on my team. Incredible care by fine, knowledgeable doctors. Office staff also very helpful. Overall positive experience. I feel encouraged that my health will improve. Thank you! Thank you Pinkus family Chiropractic for always being there for my family – Lakin is finally headache free !!! I am so grateful for the relief- my only regret is I didn’t go to them weeks ago. So Thank you both so much for all your help and relieving me of the worlds worst pain I’ve ever had and hope to never get again. I’m very happy with my service, and thank you so much for making my headaches go away. Massage Therapist was the best I’ve ever experienced in over 30 years of dealing with back problems, she definitely knows her business. Wow–you guys do things right! What a wonderful experience I had at your office from start to finish. It’s a real treat to step inside your door with the warm welcome, positive words, reminders to care for your body with water, tea, coffee, and healthy snacks in your waiting area, your listening ear in my work-up, and the can-do attitude about fixing me up. I feel worlds better under your care in just weeks. I’m so glad I found you. So happy we have you to help our aging selves. Dr. Katie and Dr. Brenton are so great with my kids! They really took the time to listen and explain everything to me! Highly recommend! Everyone seems very knowledgeable and has the desire to help! Both my mom and I go to Pinkus Family Chiropractic for adjustments on a regular basis. Katie and Brenton have helped us tremendously with our headaches and dizziness along with other physical ailments that have come up over time. We highly recommend that you visit Katie or Brenton for all of your chiropractic needs. I no longer feel pain the moment my feet hit the floor in the morning, no do I limp into work after climbing out of my car from the 20 minute drive or tenderly navigate the stairs or steps one at a time while grasping the handrail for extra support. My many, many thanks to you all! Very nice, on time, very thorough. Explained everything. I was very happy. Positive experience. Staff was energetic about me and getting myself healthy. My injury was determined in the morning and was treated that night. Can not thank them enough !! This practice is my refuge, my “me time”. When I first visited, I was so broken down, so tired of hurting. Dr. Katie met with me and took the time to explain everything. She was so compassionate, so understanding. She and Dr. Brenton are fantastic to work with. They have given me my life back. I’ve had a few adjustments now and my ear issues are much better. Thanks! Thank for giving me relieve from the back pain. My wife had wonderful success with Dr. Katie and suggested I come to resolve my “issues.” We are both very happy with your services. Great experience and I feel much better. I can’t believe how much better I am feeling!